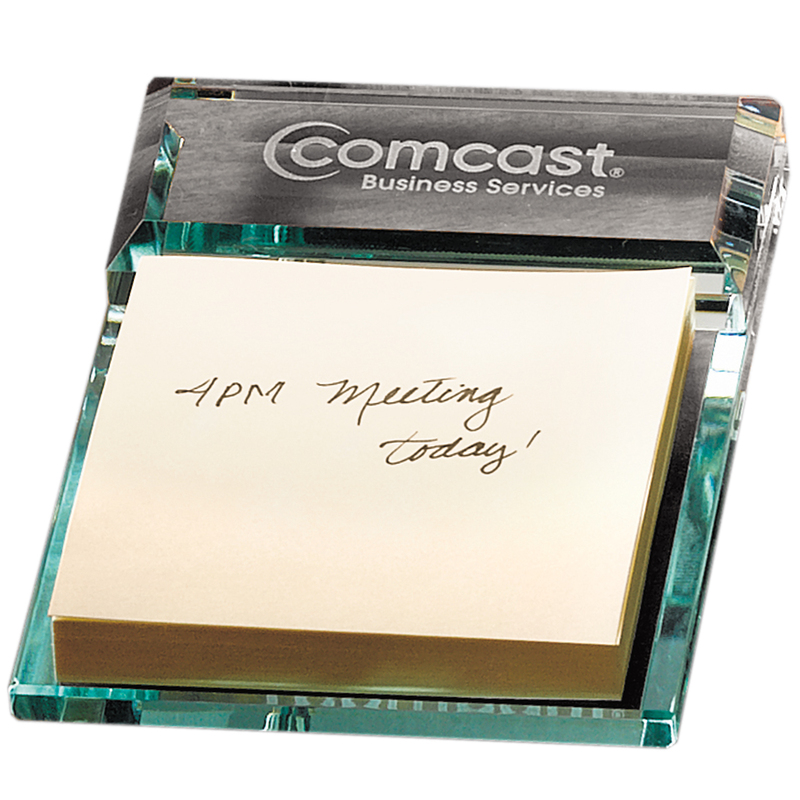 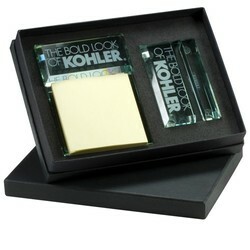 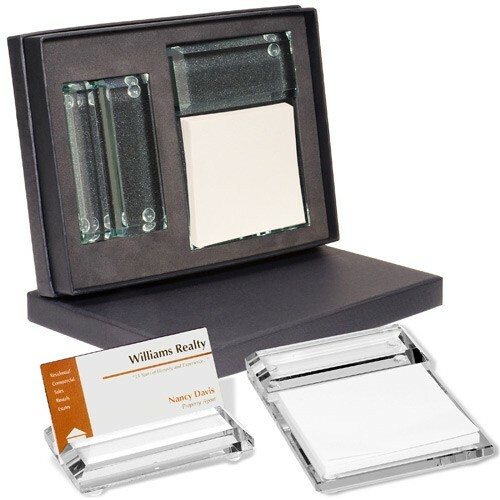 Combines the LG-9023 Atrium Glass Business Card Holder and the LG-9022 Atrium Glass Message Pad Holder. Cut glass with multi-faceted edges. Pad holder fits 3" x 3" memo pad. 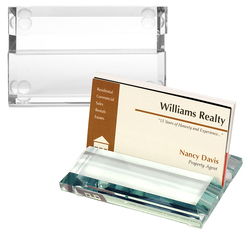 Screen with frosted imprint for etched glass look.